Deepen your sense of the past at sights like Civita di Bagnoregio and Palatine Hill. 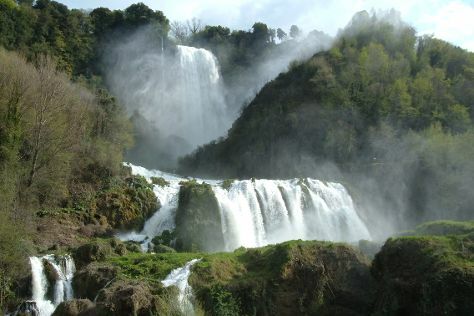 You'll discover tucked-away gems like Cascata delle Marmore and Vatican City. Explore the numerous day-trip ideas around Rome: Duomo di Orvieto (in Orvieto) and Umbria Outdoor (in Piediluco). There's much more to do: explore the world behind art at Vatican Museums, take a stroll through Via Condotti, admire the landmark architecture of Pantheon, and delve into the mystery of Catacombe di San Callisto. Quickly create a custom-made itinerary for Rome using our trip planner. In March in Rome, expect temperatures between 19°C during the day and 8°C at night. Finish your sightseeing early on the 4th (Thu) to allow enough time to travel back home.